In search of a healthy BBQ sauce alternative ? This beautifully Italian recipe ticks all the right boxes. Cover and refrigerate for at least 3-5 hours stirring occasionally. Pour into a Roasting pan skin side up Bake for 45 minutes. Use Drippings over Chicken to serve. 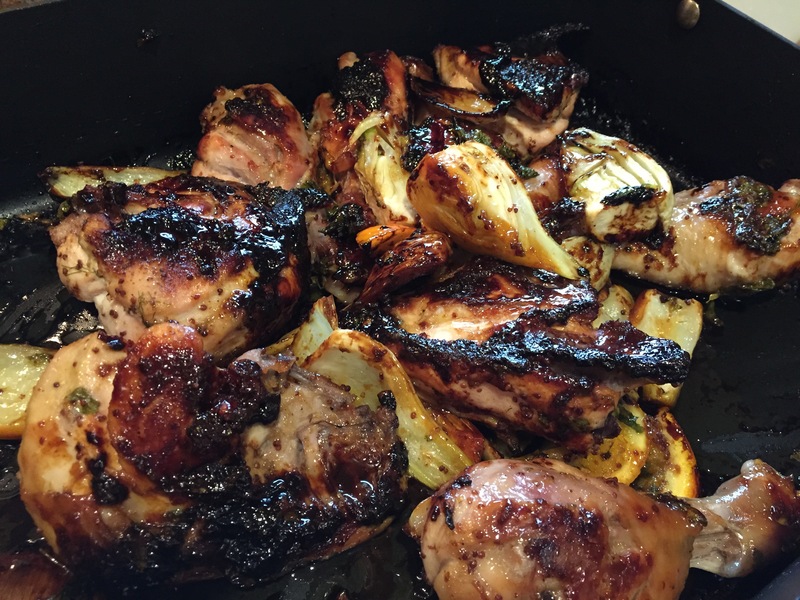 This entry was posted on Tuesday, June 16th, 2015 at 9:08 pm	and tagged with alternative to bottled bbq sauce, bbq chicken, bbq chicken fennel roast, chicken in the oven, citrus chicken, fennel, health bbq sauce alternative, oven baked bbq chicken and posted in Category. You can follow any responses to this entry through the RSS 2.0 feed.